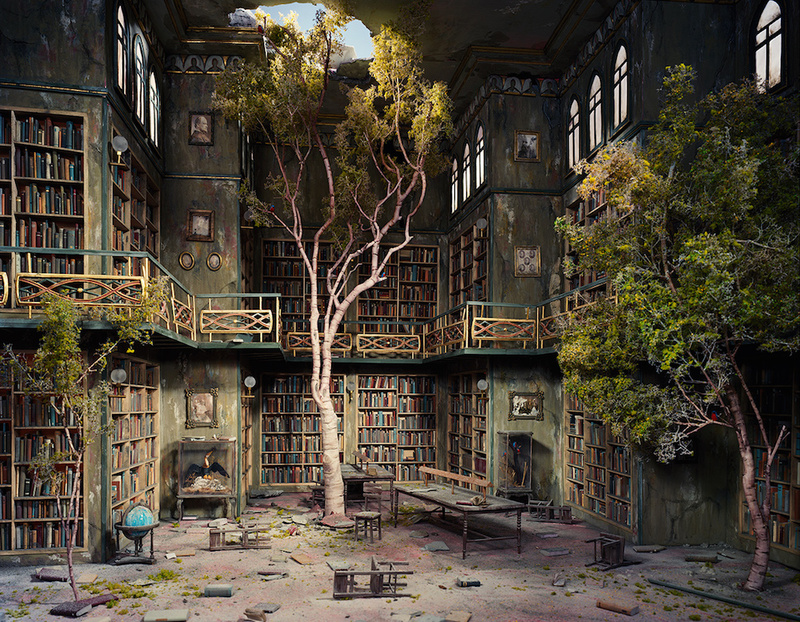 Since 2005, artist Lori Nix and partner Kathleen Gerber have been producing dioramas that depict post-apocalyptic environments, everyday scenes that give the audience a glimpse of their world once nature has been left to take over. Nearly everything within the scenes is fabricated by the two under the name Nix+Gerber, with each scene taking approximately seven months from start to the final photograph. This means that the two take approximately two photographs a year, spending the bulk of their practice on miniature reproduction. When deciding the last piece to produce for the body of work “The City,” Nix+Gerber decided to look inward. They choose to replicate their own studio, titled “The Living Room” (2013), which Nix explains actually looks like the end of the world, a disaster scene to fit within the dystopian series. For this particular project they had to work in an extremely meta fashion, scanning each CD that sat on their shelves and reproducing an even smaller replica of a subway train car that was sitting in their studio when they started production. While crafting “The Living Room,” The Drawing Room produced a short documentary about Nix+Gerber’s practice which you can see below. 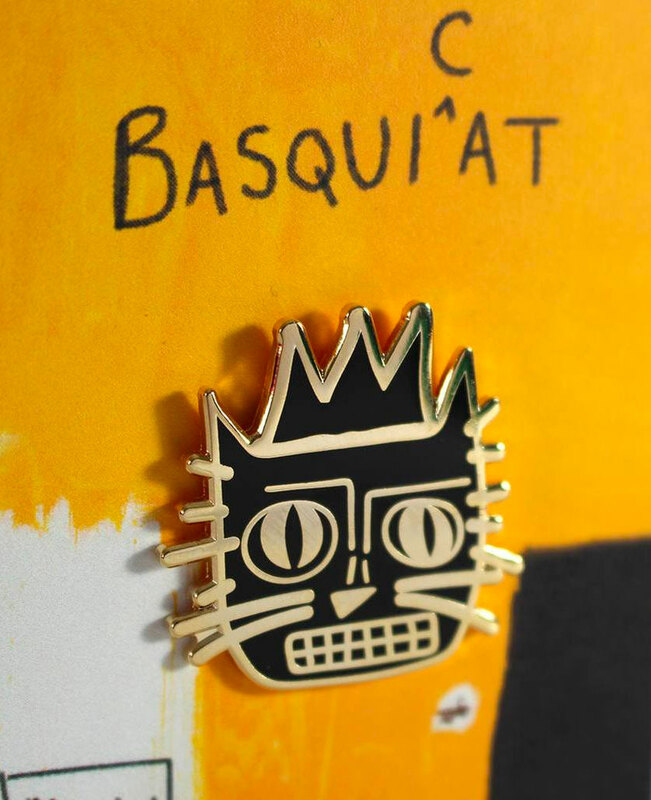 You can also read more about the artists’ work on their blog, and see more of their miniature scenes on their Instagram and Facebook.